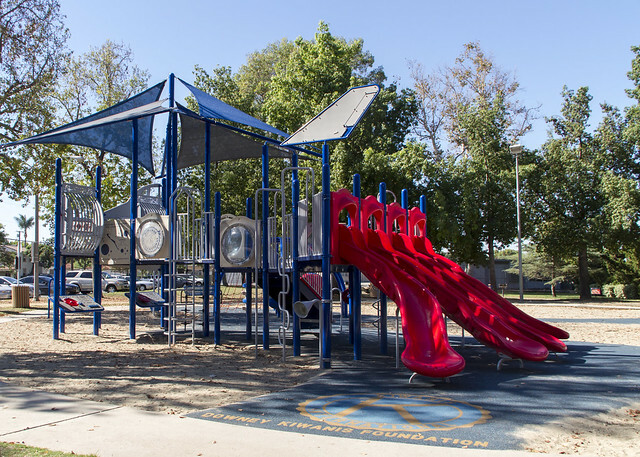 Last August we posted the grand opening of the new children's play area—a gift from the Downey Kiwanis Foundation. This morning, the equipment was deserted. Perhaps it was too early, or all the kids are in school. Normally, I see it covered in little ones climbing and sliding. 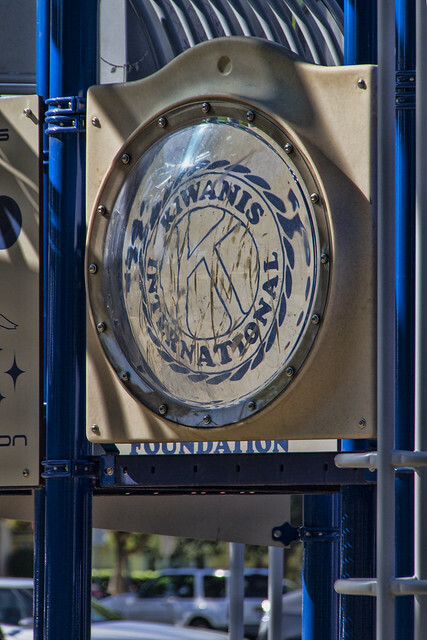 Probably why I never noticed that the Kiwanis logo shows so perfectly through the side viewing spots! "Kiwanis is a global organization of volunteers dedicated to changing the world one child and one community at a time."